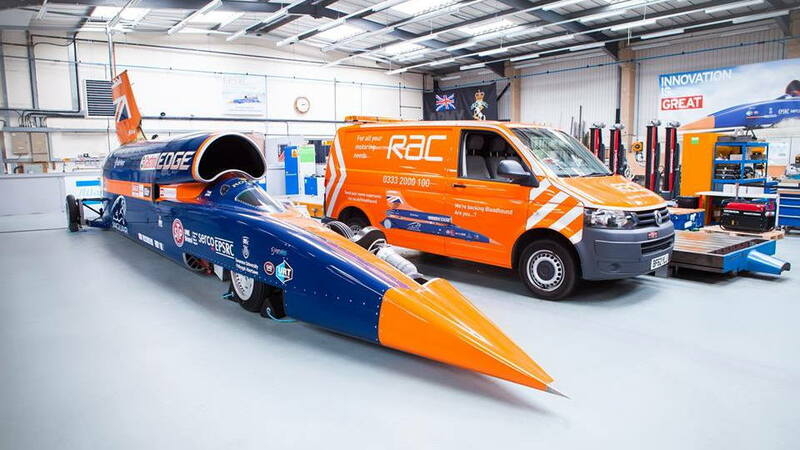 Bloodhound Programme Ltd, the company behind the Bloodhound SSC land speed record attempt, was disbanded Friday after it failed to secure new funds. The attempt had been on hold since October 15 when Bloodhound entered administration, a process similar to bankruptcy protection. To get off the ground, it needed to raise some $33 million. “While not an insignificant amount, the [$33 million] Bloodhound requires to break the land speed record is a fraction of the cost of, for example, finishing last in a F1 season or running an Americas Cup team,” Andrew Sheridan, an appointed official overseeing the administration, said at the time. Unfortunately, there is now no reprieve as the company's assets are being sold off to pay back creditors. That includes the SSC (Super Sonic Car) itself, which Andy Green, who was tasked with driving the car in its attempt, told the BBC in an interview published Friday can be bought for about $319,000. He added that any potential buyer will also need a team of engineers and millions of dollars to get it running. Green, a retired British Royal Air Force pilot, holds the current land speed record for a steerable car. He reached 763.035 mph in October 1997 driving the jet-powered Thrust SSC. 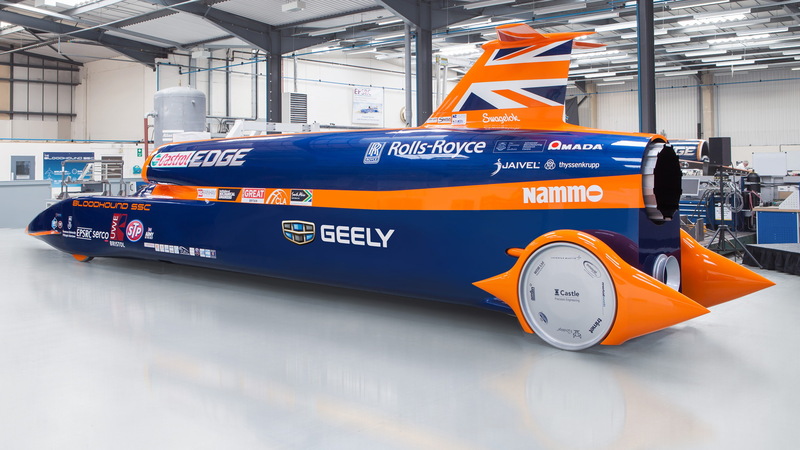 Bloodhound was hoping to not only break the record but go on to reach 1,000 mph. 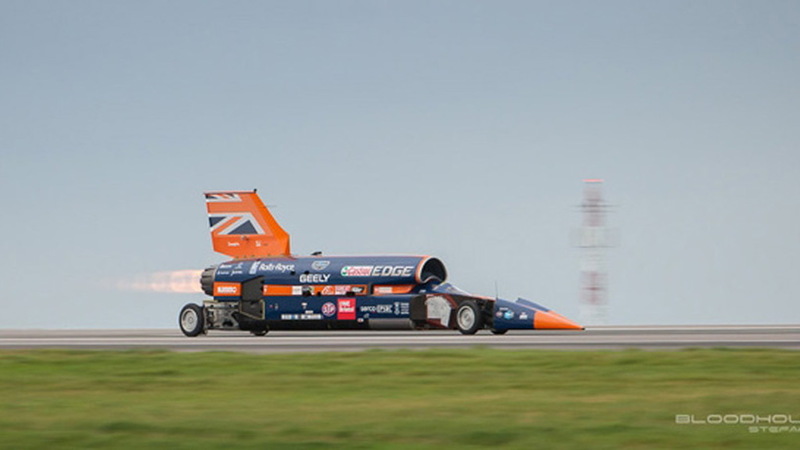 The British project has so far survived on a partnership and sponsorship model, with support from a variety of partners including Geely, Jaguar Land Rover, Rolls Royce, Rolex, and the British military, which provided a Rolls-Royce EJ200 jet engine for the rocket- and jet-powered SSC. The Rolls-Royce engine is normally found in a Eurofighter Typhoon fighter jet. 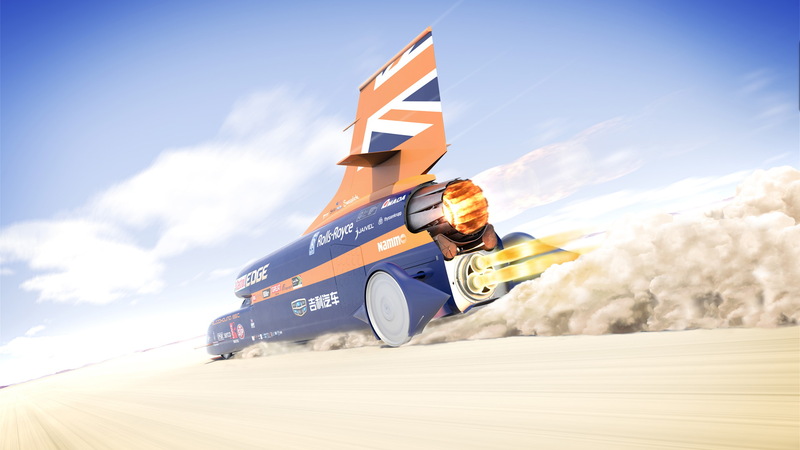 The Bloodhound SSC was to use the jet engine to get up to around 300 mph. Beyond this speed, it was to use a cluster of bespoke hybrid rockets developed by defense firm Nammo. The combined output of the 44.3-foot streamliner is a claimed 135,000 horsepower. A public test in October 2017 saw the car hit 210 mph in 8.0 seconds. Had Bloodhound managed to raise the funds it needed, the company planned to attempt a run in late 2019. The attempt was to take place at a section of South Africa’s Kalahari Desert known as the Hakseen Pan. 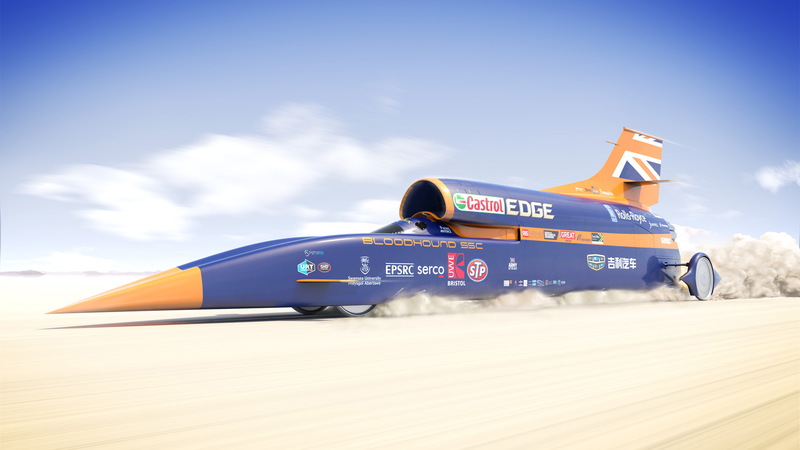 In addition to seeking to break the land speed record, the project was also a major R&D catalyst and the focal point for an education campaign to generate more interest among students in STEM subjects. Note, there's another team working on an attempt on the record. Australia's Aussie Invader is developing a rocket-powered car dubbed the 5R that is to be significantly more powerful than Bloodhound's SSC.